Tobacco companies have lost the fight against the introduction of plain cigarette packaging in Australia following a High Court ruling that could have global repercussions. 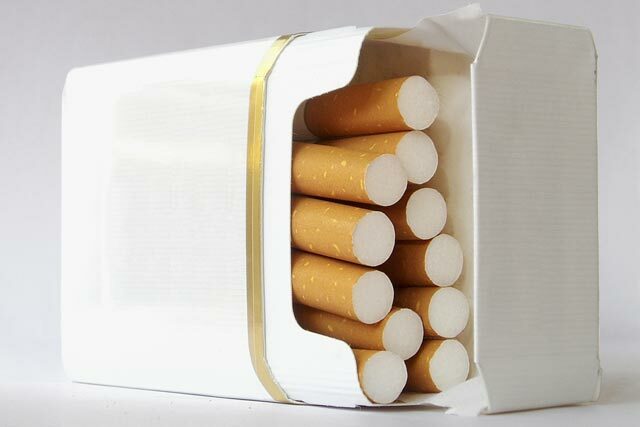 Companies including British American Tobacco (BAT), Philip Morris, Japan Tobacco and Imperial Tobacco unsuccessfully argued that banning the use of brands on packaging was unconstitutional because it infringed trademarks without offering compensation. Following the ruling, all cigarettes in Australia will have to be sold from 1 December in logo-free, olive-coloured packets that are plastered with graphic health warnings. The tobacco giants have come out fighting against the ruling with BAT labelling the Tobacco Plain Packaging Act as a "bad piece of law" that will have "unintended consequences for years to come". BAT has warned it will "take every action necessary to protect our valuable brands and our right to compete in global markets as a legitimate commercial business selling a legal product, based on the full legal use of our intellectual property rights". Japan Tobacco (JTI) and BAT have united to prevent similar measures happening in Britain by claiming the ruling should have no impact on the Department of Health’s consultation into introducing plain cigarette packaging. The Department of Health has received thousands of responses to the consultation, which closed on Friday (10 August). Public health minister Anne Milton said: "We have an open mind about the introduction of plain packaging. Any decisions to take further policy action will be taken only after full consideration is given to consultation responses, evidence and other information. "We will also look carefully at today’s judgement on Australia’s plain packaging laws." It was revealed in April that Health Secretary Andrew Lansley was launching a Government review into plain packaging after revealing he wanted tobacco companies to have "no business" in Britain. A Japan Tobacco statement said: "Other countries where plain packaging measures are under consideration have different legal systems. Today’s ruling is not indicative, much less determinative, of the constitutionality or legality of plain packaging in those jurisdictions." BAT claims the Australian High Court decision should have "no bearing" on the Department of Health’s consultation and believes "plain packaging would constitute a wholesale expropriation of BAT’s valuable intellectual property, requiring payment by the Government of very significant compensation." Smokers' lobby group Forest has labelled the decision as "state-sponsored bullying" and an attempt to "denormalise" a legal product and "stigmatise" consumers. Simon Clark, director of Forest, said: "The proposal is based on the fallacy that children find so-called 'glitzy’ packaging appealing and with cigarettes in dull, drab packs fewer children or young people will be tempted to start smoking." In contrast, Cancer Research UK tobacco policy manager Robin Hewings claims "removing the glitzy and slick designs will give millions of children one less reason to start smoking in the first place". Hewings added: "This is a humiliating blow for the tobacco companies who have been confidently claiming that plain packs are illegal."